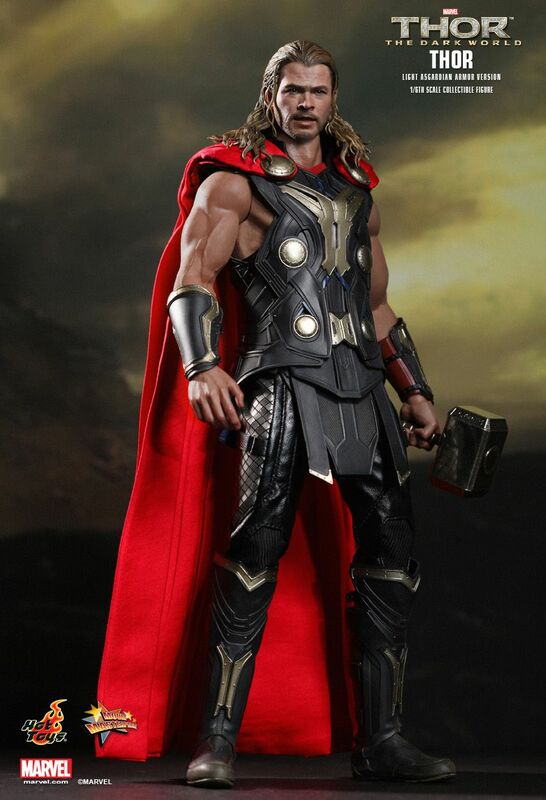 The next highly anticipated Marvel Studios film this year – Thor: The Dark World is soon hitting the theatres. 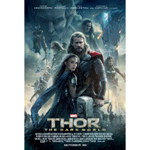 Following the events of The Avengers, Thor returns to the big screen and sets upon a journey to confront a new enemy that even Odin and Asgard cannot withstand. 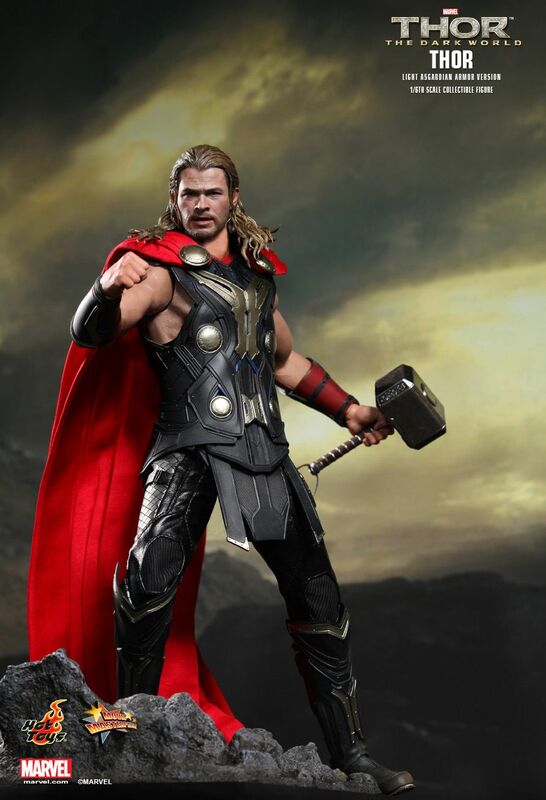 To celebrate the launch of this epic sequel of Thor, Hot Toys is proud to present the new 1/6th scale Thor (Light Asgardian Armor Version) Collectible Figure which will be available for selected markets only. 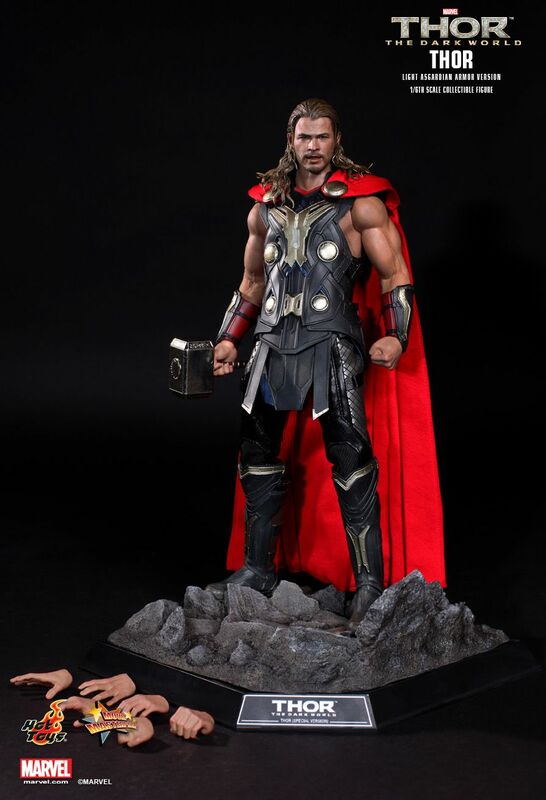 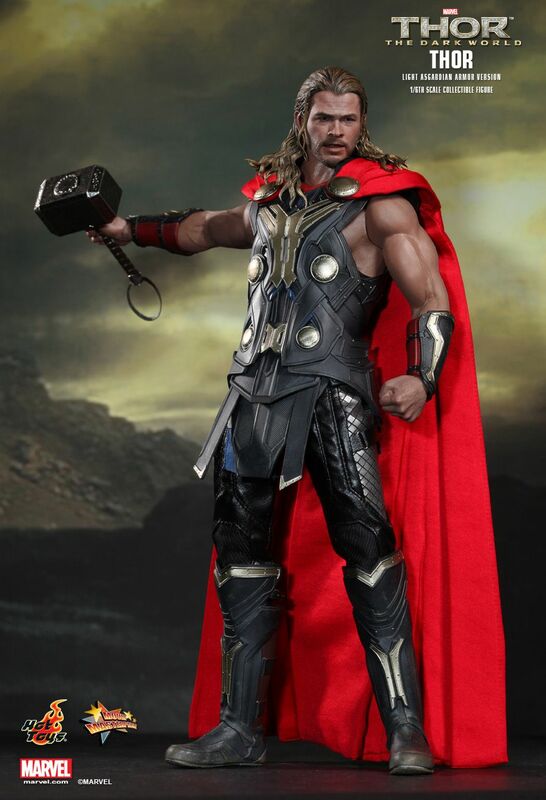 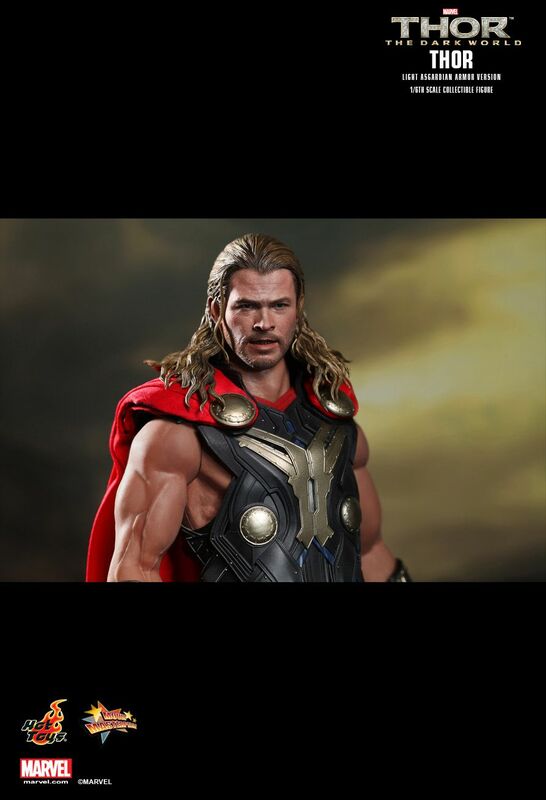 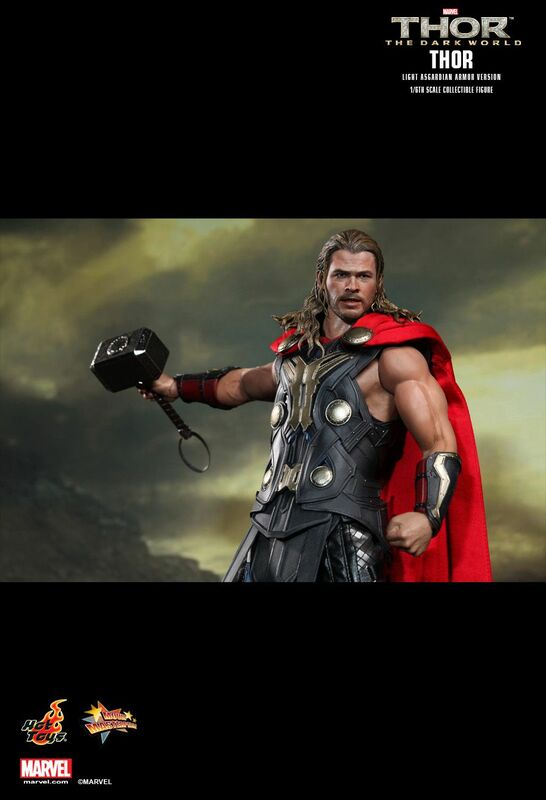 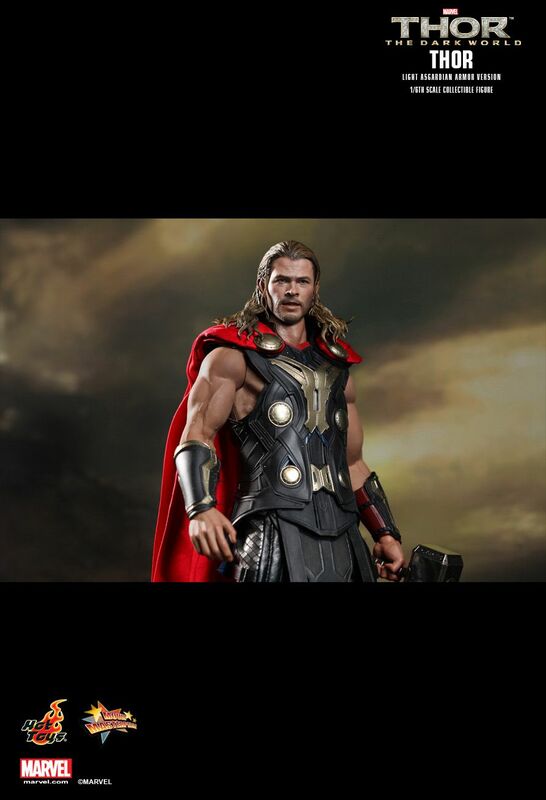 This movie-accurate collectible is specially crafted based on the image of Chris Hemsworth as Thor in the movie, featuring the newly developed head sculpt and muscular body, highly detailed costume, weapon, and specially designed diorama base. Thor se bat pour restaurer l’ordre à travers l’univers mais une ancienne race menée par le menaçant Malekith revient pour précipiter l’univers dans les ténèbres. 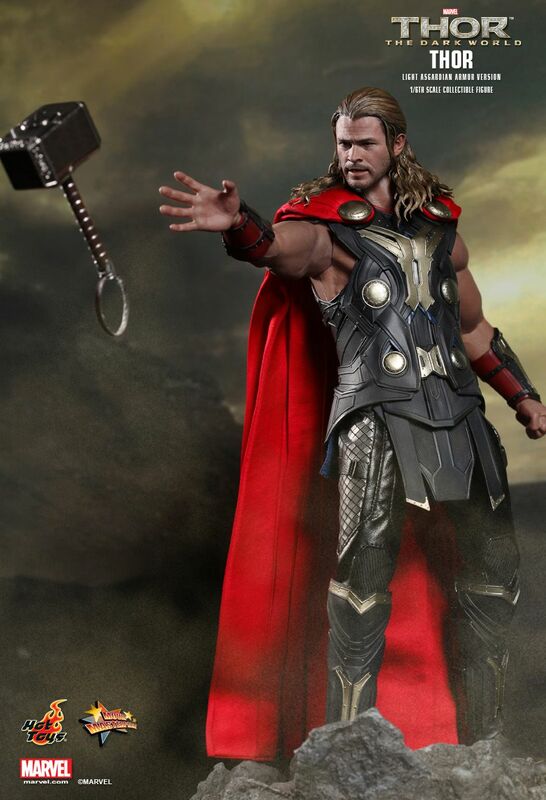 Face à un ennemi auquel même Odin et Asgard ne peuvent résister, Thor doit s’embarquer dans son plus périlleux voyage jusqu’à ce jour, au cours duquel il retrouvera Jane Foster et sera contraint de tout sacrifier pour sauver l'humanité.